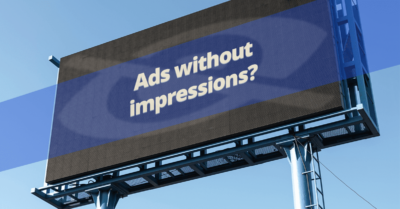 Product campaigns are basic campaigns created in BlueWinston. 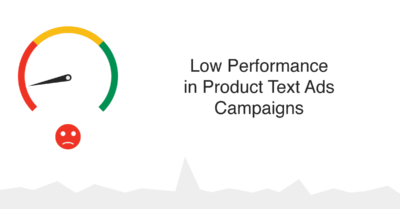 These automated campaigns are created from XML product data feed and used for Google text Search. 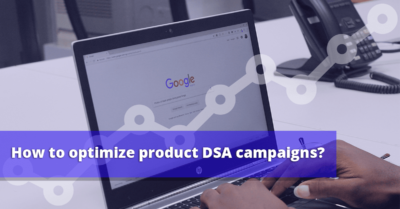 In this article you will see how to create product campaigns. We recommend to use for product campaign name: BW (Product) – “your campaign name”. 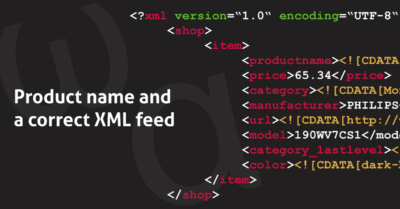 In BlueWinston can be used usual XML feed, as you use for price comparisons or Google. Make sure that your feed contains at least product name, URL, price, manufacturer and category for each product. You can filter by categories, manufacturers, price.If nothing is chosen on left side, all items from right side will be used. Per Partes – keywords will run gradually from longest form to shorter. 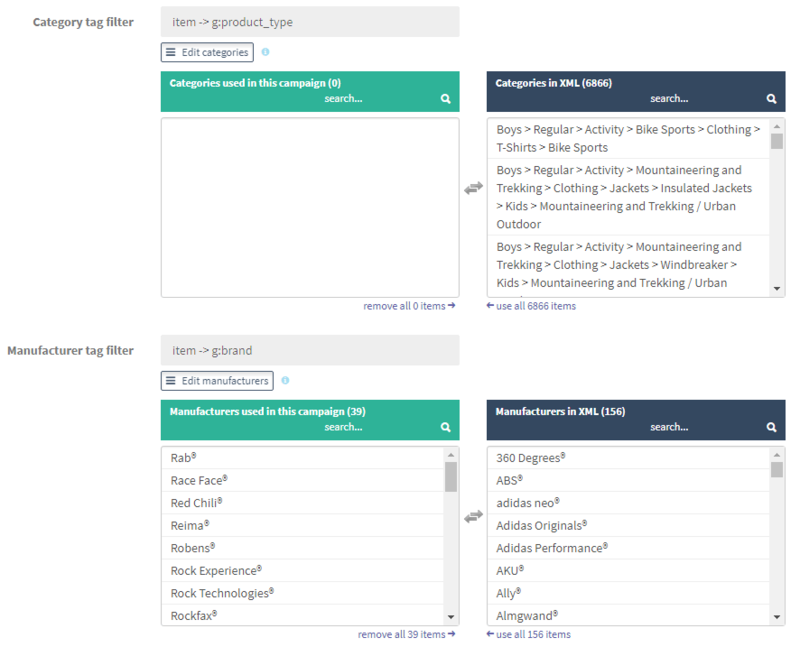 If BlueWinston find eligible keywords, will not run shorter form. 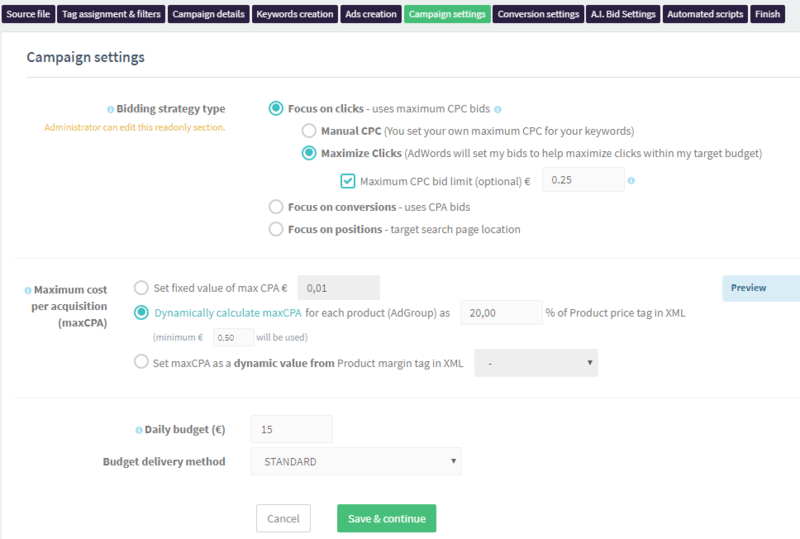 PPC specialists use this truncating method of keyword creation for most BlueWinston product campaigns, with Exact and BroadModifier keyword match type. 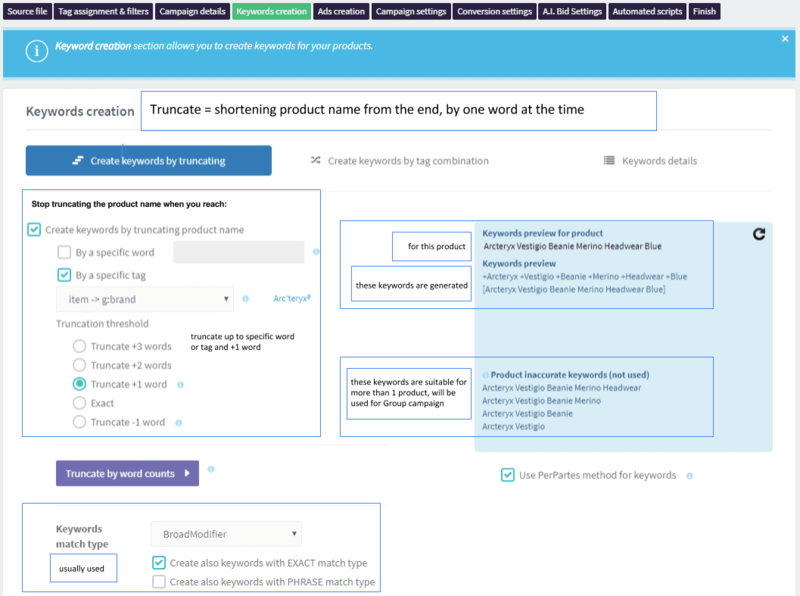 This method of keyword creation is suitable for batteries, cartridges etc. You can create Ad pattern that will be used for your products. If needed, you can use prolonging Headline 1 or cutting Headlines or Descriptions. 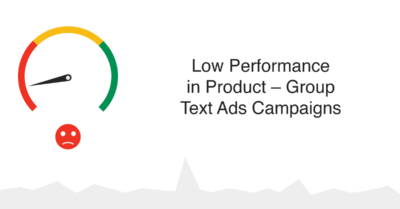 Crucial is to cover all products (100%) – you can create also alternatives in Ad pattern.